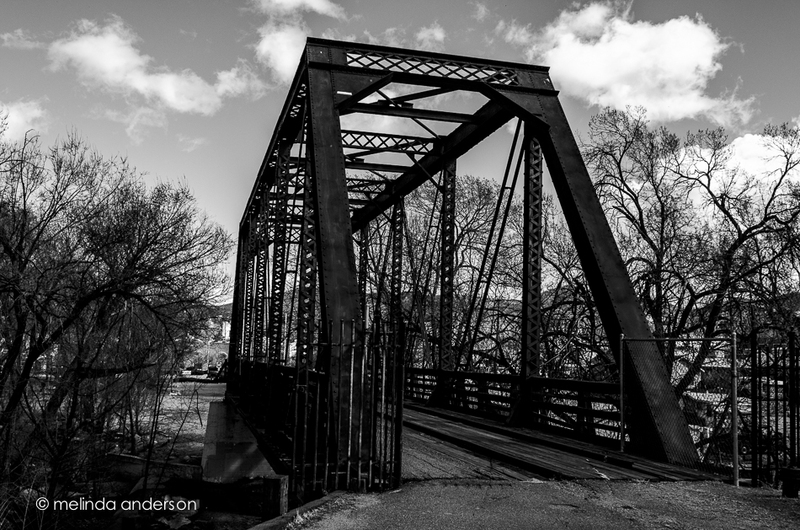 As part of my exploration of Prescott, I visited the old railroad bridge, which is no longer in use. I took several photos and decided I like the bridge best in black and white. This entry was posted on March 3, 2014 by Melinda. It was filed under out and about, Prescott . Getting a chance to go through what i have missed, How cool to have a new place to explore with new photo opts. Love that this is no longer in use and you can get so close, I love the b/w also. Great images and I agree, the black and white treatment is very effective. 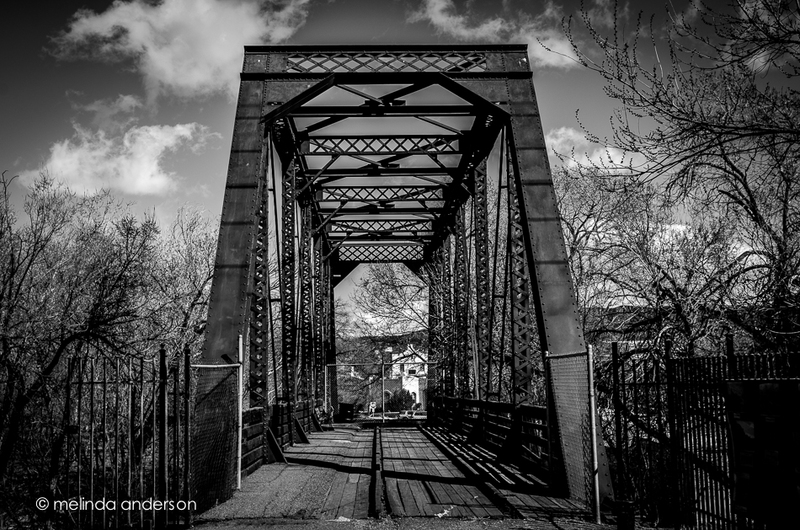 The second shot really draws the viewer into the shot and onto that bridge. Nice job.